Students in Dr. Stephen Sweet’s Sociology of Work and Family course at Ithaca College were encouraged to write editorials on how job tensions affect families. The blog posts in this “Millennial Voice” series were identified by their instructor and peers as offering poignant appraisals of what needs to change and why. Each post is informed by 23 articles read as part of class assignments, as well as an additional 10 articles independently researched by the authors. Links to relevant references offer additional exploration for interested readers. Today’s post was written by Olivia Abry. Abry is a sophomore student at Ithaca College majoring in Sport Management. Her career goal is to work in basketball operations for an NBA team. Growing up within a single parent home I have no idea how my mom did it with four rowdy children. I was four years old when my mom left my dad, and six when they finalized the divorce. My dad was in and out of my life, and more concerned about the drugs and alcohol he was consuming rather than his family. With alimony and child support questionable each month along with their amounts, all the responsibility fell on the shoulders of my amazing mother. My mom was a real estate agent by day, hostess by night, and super mom 24/7. She made all the sacrifices she could for my siblings and me, working nights and running on few hours of sleep. As I look back on it she made it look easy, but now I realize how hard it was and the stigmas she faced. Single parents who financially support their children should be respected more in American society. In the UK, single parents often receive support from their employers. For example: the right to ask law, which gives employees the right to ask for flexible working hours. We need to adopt this instead of being discriminatory toward single parents. Here in the U.S., single parents, especially mothers, receive little support from their employers, resulting in them having to work longer hours. Research shows mothers were judged as 10% less competent and 15% less committed by their employers. And their starting salaries were $11,000 less than non-mothers. They often work night shifts or hours that go past school dismissal, but when they do so they are sometimes stigmatized as being a bad parent. Parents are supposed to love and support their children both emotionally and financially. Research has found that low-income mothers embrace high standards of parenting and economic independence. Consequently, they encounter vast numbers of work-family struggles. They have to choose between being financially comfortable, which takes away from time with their children, or being less financially secure in order to spend more time with their children. Essentially single parents are put in a no-win situation. Single parents face many internal struggles, as well as external. Do I take this job and leave the responsibility to my oldest child? Or should I lose income and be home more? My mom would head off to work around 4 P.M. and did not return until around 2 A.M. This left all the responsibility to my oldest brother. Many single parents feel remorseful for the pressure they put on their kids to help with household work. Research shows, however, that most older siblings enjoy the responsibility and the honor of being the so-called “man (or woman) of the house.” Children do not necessarily like everything they have to do, but they take pride in their skills and contributions. It also teaches them real life skills and how to become good partners and parents later in life. Single mothers are often seen as irresponsible because they are away from their children for a certain number of hours a day. Some critics feel that they cannot fulfill their role as a mother—being physically and emotionally supportive. Research has found that married women have more time to play with their children and be there for emotional support. Although this may be true, children of single parents learn to be responsible and independent. Personally I, and others who grew up in similar situations, have learned how to become self-sufficient. I learned how to do laundry, cook, and run a household all at a young age. Most might wonder why I was doing some of these activities so young, but I am glad I did because now I feel perfectly fine to tackle anything handed to me. To this day, I still cannot tell you how my mom managed my siblings and me. Although we were all responsible and quite self-sufficient, we were a handful. Single parents will always have my respect and I think more people should agree. They show incredible perseverance and work ethic. Let us appreciate single parents as they are. We should give them credit for doing everything that two people are supposed to do. However, single parents need more support from employers and more support from society as a whole. Gender and parental wage gaps need to be decreased and discrimination needs to stop. 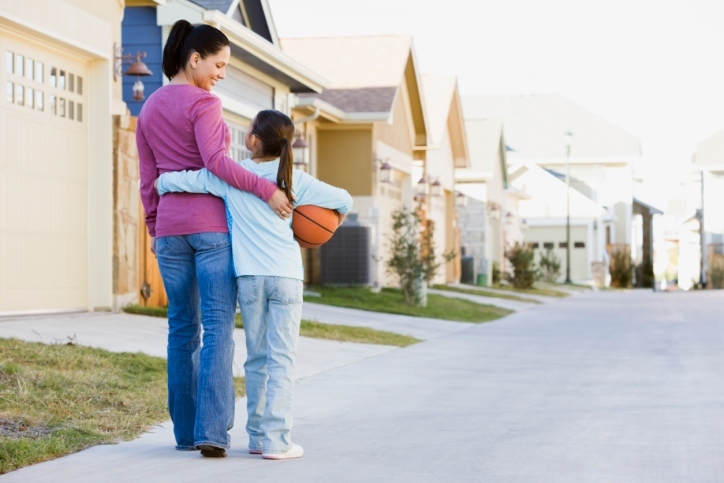 We often think a strong parental role model is absent in a single parent household. However, the majority of the time single parents become “super-role” models, providing with two hands the work that is usually performed with four.